Kalvin Phillips admits Leeds United could not avoid learning about Sheffield United's result before they kicked off against Sheffield Wednesday. 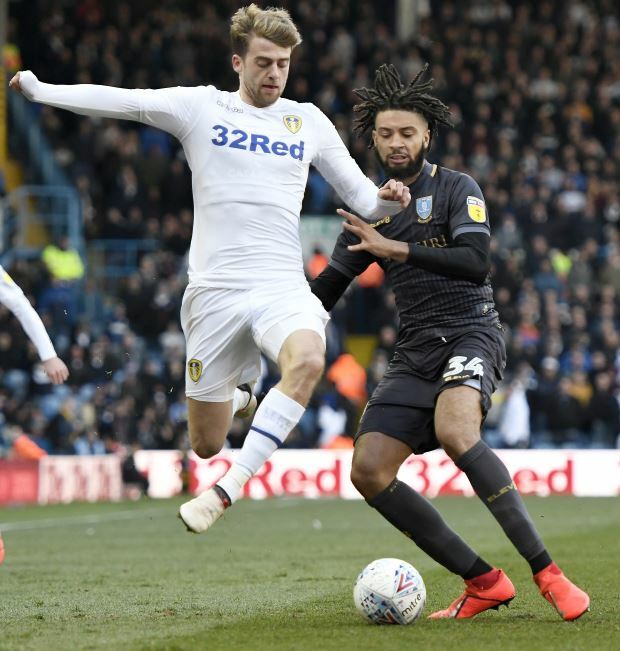 The Whites scored a 1-0 win over Sheffield Wednesday at Elland Road courtesy of a goal from Jack Harrison in the 65th minute. The win means Leeds have taken full advantage of Sheffield United slipping up by drawing at home against Millwall and Phillips admits that with the Blades kicking off earlier, the Whites could not avoid hearing about the result, even though they wanted to. Phillips said on Sky Sports after the match: "It's massive. We tried not to listen to the Sheffield United score, but it was everywhere. "We still had to go out and do our job and we did that today. "Results like this, you've got to enjoy it, but we'll keep our heads on and hopefully we'll get over the finish line", he added. Leeds now have a three-point lead over Sheffield United and sit second, with just four games left to play in the season, as they close in on a return to the Premier League, where they have now played since 2004. Sheffield United are next up against Nottingham Forest at home, while Leeds also play at home, hosting struggling Wigan Athletic.